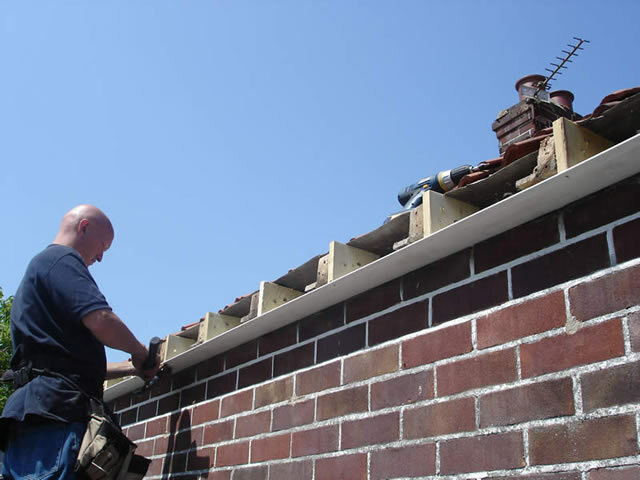 The first step in our roofline installation process is to gain access to the first baton by removing and setting aside (unless pin tile or fixed slate roof) the first row of tiles. Cut back the edge felt with a Stanley knife before removing the Guttering. Remove the timber Fascias, Barge Boards & Soffits. Check the exposed rafter feet for rot. If discovered dress and remove all the rotten spar ends with secure fixings, then build up or cut them back to make sure they are level using string lines. Click any photo from Steps 1 to 5 for a larger version. 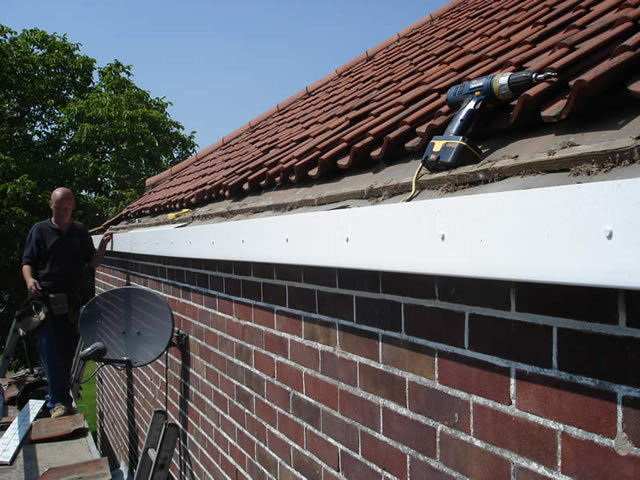 In the second step of our roofline installation process your new Upvc soffit boards are fixed to the underside of the timber rafter ends with stainless steel plastic capped nails. The back of the soffit board rests on the top of the wall and is pinched down with timber “legs” to prevent the wind from lifting the board up. The next step of the roofline installation work is fixing the new 18mm Upvc Fascia boards to the prepared rafter feet with 65mm stainless steel nails. 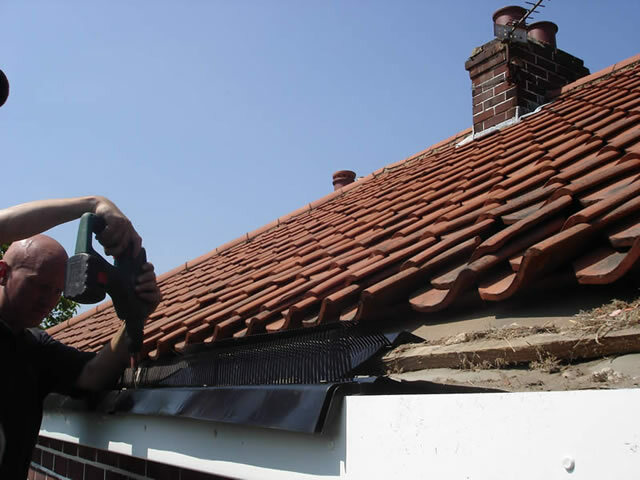 It’s essential to get a solid fix as the fascias must hold the weight of the first row of tiles, rainwater, the guttering, as well as snow & icicles that may form in the winter. 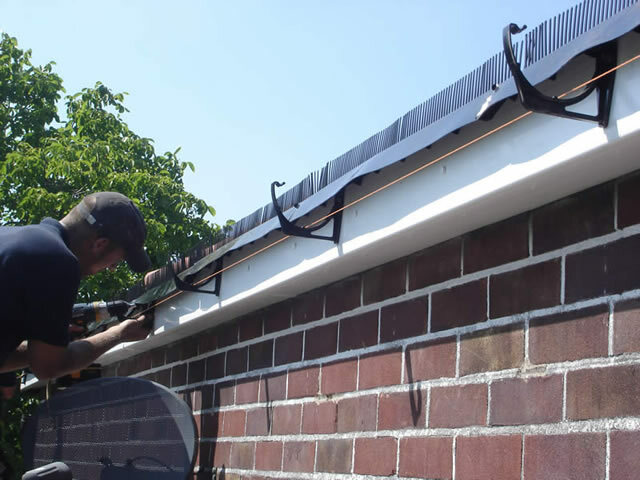 In step 4 of our roofline installation process we install the Eaves Protection System (colour black – as seen in photo). 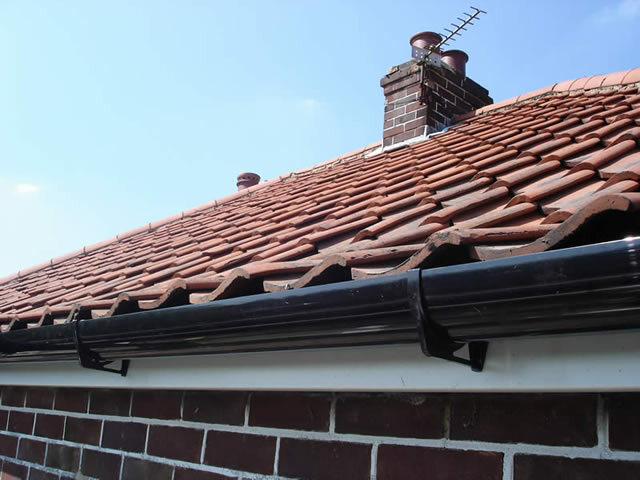 This incorporates a new hard-lipped bead to channel water into the guttering effectively. It also has a Bird Stop (if required) to close off access to birds into the eaves, and an over-eaves ventilation strip (bringing your roof up to the new building regulations and allowing your roof to breathe) to assist airflow to the loft void to prevent condensation. 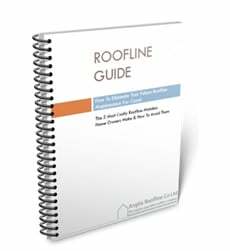 The final step in the roofline installation process is to fit your new gutting and downpipes. We invite you to inspect our work after we’ve given everything a final check. And we make sure we leave your premises clean and tidy. An approximate length for our roofline installation is 2 days. No. We own and utilise free-standing light weight access equipment that does not require fixing to your brickwork. Do you replace or cover the fascia? 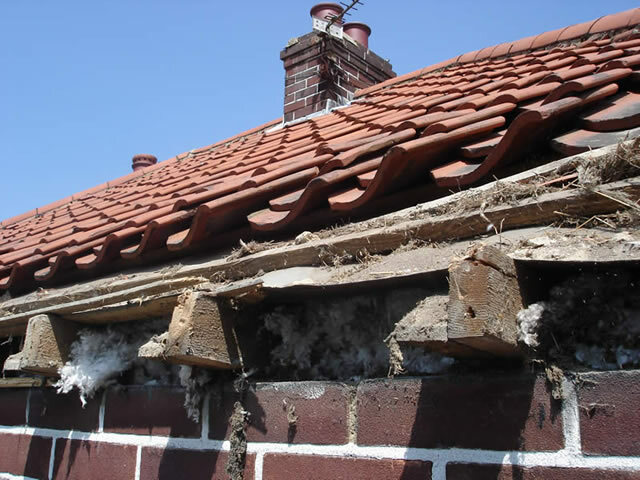 We always advise customers that it is best to fully remove existing roofline products to eliminate any rotting timbers, before carrying out the complete replacement roofline installation. No. All replacement roofline work takes place externally. How will you access areas above extensions / conservatories? We have access equipment that can span up to 8 metres. 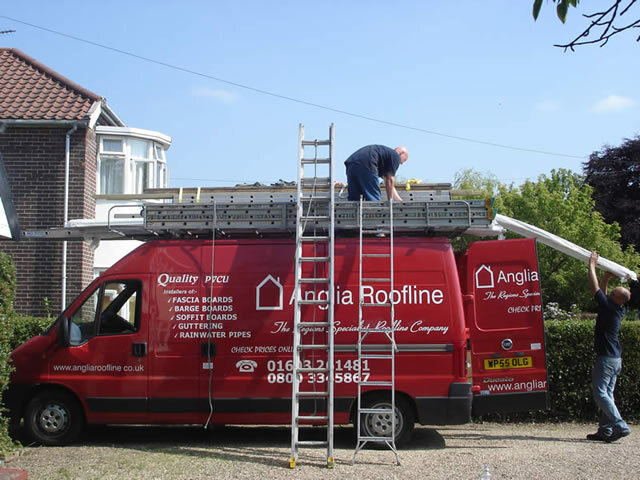 If additional scaffolding is required Anglia Roofline can arrange this for you. 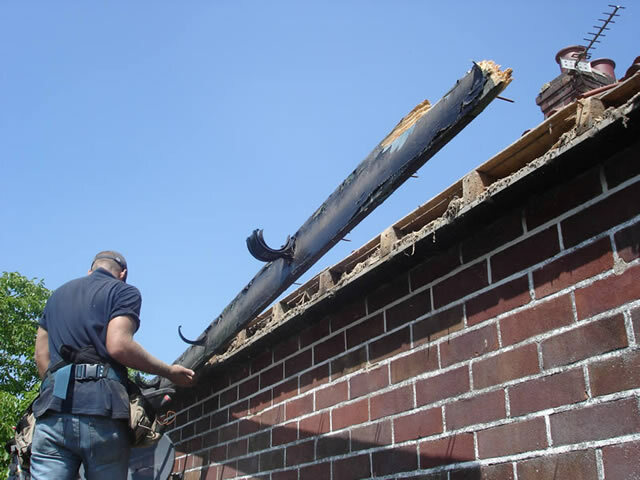 Timber fascias are prone to wood rot and require high levels of maintenance to ensure a dry and functional roofline. Upvc products retain their good looks and function properly for up to 20 years without additional maintenance.